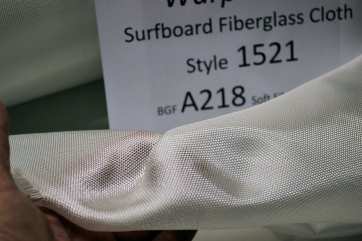 1521 is the warp version of 1522 open weave 4 ounce fiberglass cloth that is finished in the A218 silane that's pretty soft would have a little more strength in the warp direction than the fill versus the 1522 that's more balanced. 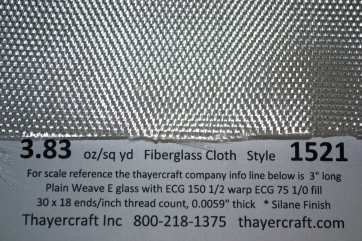 Style 1522 has a thread count of 24 x 22 ends/inch and style 1521 has a thread count of 30 x 18 ends/inch warp and fill. 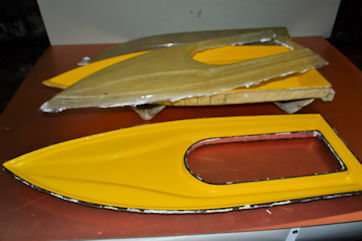 Most small rolls 1521 are rolled on 2" pvc with some rolls on the original factory cores. Prices are per roll and include free shipping to the 48 continental United States. 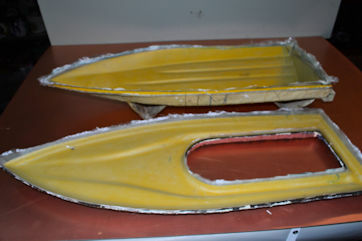 Below are photos of some 1521 we used just to show it's conformability, even though less flexible in the warp, using the RC boat molds.